Home >> Daily Dose >> Why Are Existing Home Sales Underperforming? The market for existing home sales is underperforming its potential by 4.2 percent or an estimated 256,000 at a seasonally adjusted annualized rate (SAAR) sales. This according to the data from the First American Potential Home Sales Model released on Friday. On a month over month basis, potential existing home sales in June 2018 increased to a 6.12 million SAAR, up 1.1 percent over May. Overall, home sales have increased 63.8 percent from the market potential low point reached in February 2011, the First American report said. However, there's a persisting gap between existing home sales and their potential, even though it decreased by an estimated 26,000 SAAR sales between May and June 2018. “The market for existing-home sales is underperforming its potential by an estimated 256,000 sales at a seasonally adjusted annualized rate (SAAR) and has underperformed its potential for 58 consecutive months,” said Mark Fleming, Chief Economist at First American. Attributing the continuing gap to the lack of housing supply, Fleming said that the inventory of homes for sales in most markets remained tight even as demand continued to rise with millennials aging into homeownership. “The housing market is not plagued by a decline in demand, but rather a shortage of supply. The result -- surging house prices,” he said. According to Fleming, this month's potential home sales data reveals that as home prices rise and homeowner equity reaches its highest level on record, it is reasonable to expect homeowners to list their homes for sale and leverage their capital for a new home. However, many existing homeowners are 'rate-locked' since a majority of them took mortgages with historically low rates. “Now that rates are rising they are hesitating to sell homes,” he said. 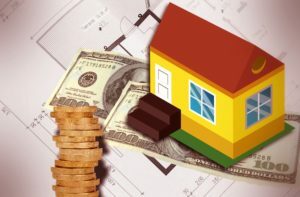 “Additionally, existing homeowners are facing a ‘prisoners dilemma.’ Many homeowners may want to sell their home and buy another, but do not, for fear that they will not be able to find a house to buy, which prevents more supply from reaching the market and further exacerbates the lack of inventory,” said Fleming. According to First American, when the actual level of existing-home sales are significantly above potential home sales, the pace of turnover is not supported by market fundamentals, and there is an increased likelihood of a market correction. On the other hand, SAAR of actual existing-home sales below the level of potential existing-home sales indicates market turnover is underperforming the rate typically supported by the current conditions.